FluxLight's QSFP-40G-SR4-S is a Cisco® compatible 40GBase QSFP+ Optical Transceiver and is factory preprogrammed with all the necessary configuration data for seamless network integration. Our transceivers perform identically to Cisco® original transceivers and are 100% compatible with other OEM and third party transceivers. The QSFP-40G-SR4-S is 100% MSA (Multi-Source Agreement) compliant. All FluxLight's transceivers are tested for 100% functionality and guaranteed compatible for outstanding network performance. 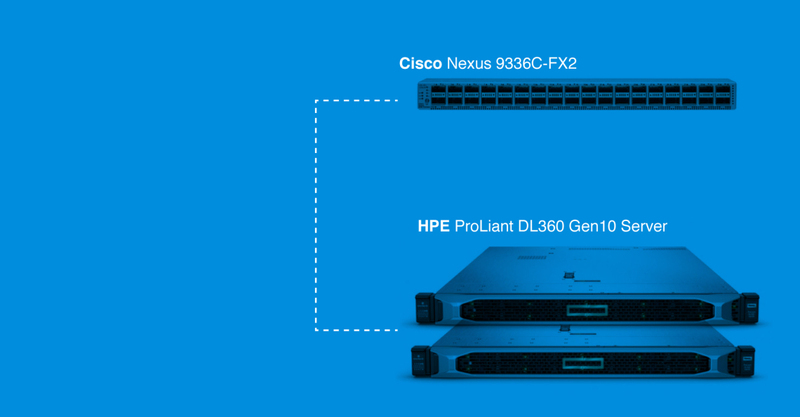 Example 2: Connecting Cisco Nexus 9336C-FX2 40G QSFP+ ports to HPE ProLiant DL360 Gen10 Rack Servers Equipped with HPE 530SFP+ 10GbE 2-port Network Adapters. Continuing in our series on options for the connection of a leaf switch to rack-mounted servers, we are going to step up the complexity to achieve higher connectivity density. In our previous post (see: https://blog.fluxlight.com/2018/10/09/cisco-nexus-93180yc-fx-to-dell-poweredge-r640/) connecting the leaf switch to the servers were simple 10Gbps SFP+-to-SFP+ (point to point) links using OM3 multimode fiber. In today’s post we will use 40Gbps QSFP+ ports on the leaf switch end of the connection. A point-to-multipoint connection will be used to allow each QSFP+ port to connect to four separate SFP+ ports on the servers. In the previous post, four SFP+ ports in the Nexus 93180YC-FX switch supported connections to two servers, each connected using two 10Gbps links. By using the 40Gbps ports on the Nexus 9336C, a single QSFP+ slot supports two servers…a 4:1 reduction in the number of switch ports. The Cisco Nexus 9336C-FX2 Switch is a 1RU switch that supports 7.2 Tbps of bandwidth and over 2.8 bpps (billion packets per second). This particular model is easily the most flexible of the Nexus 9300 line. Each of the switch’s 36 ports can be configured to work as 1/10/25/40/100-Gbps. The ports natively support QSFP+ (40Gbps) and QSFP28 (100Gbps) modules. 1G (SFP), 10G (SFP+) and 25G (SFP28) are supported using adaptors called QSAs. All ports support full line rate encryption (MACsec). Breakout, 40G to 4x10G and 100G to 4x25G, is supported on all ports. The HPE 530SFP+ is an Ethernet adapter with 2 SFP+ 10Gbps ports in a PCIe 2.0 compliant form factor. 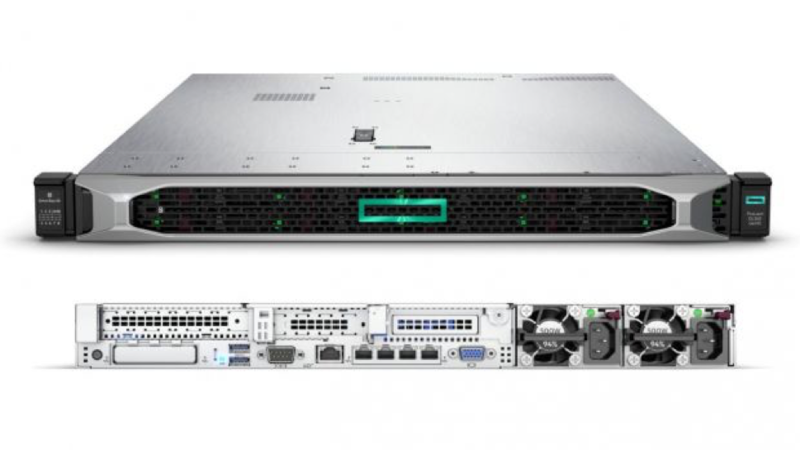 It is compatible with select HPE ProLiant Gen10, Gen9, Gen8 and Gen7 ML/DL/SL servers. 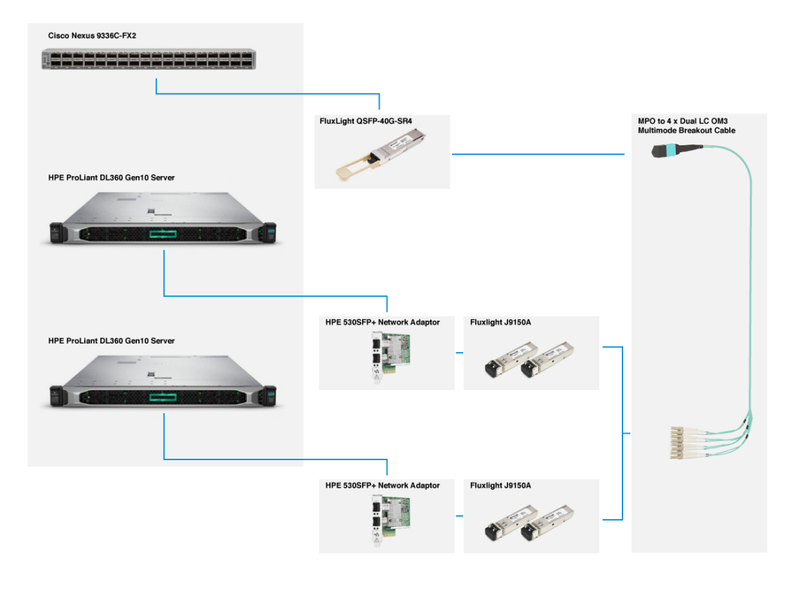 The HPE 530SFP+ combines full line-rate performance across both ports with low power consumption (less than 8 watts max). Ethernet transfer rate of 20 Gbps full duplex per port (40 Gbps aggregate) improves response times and alleviates bottlenecks in next generation data centers. The adaptor supports enterprise class features such as VLAN tagging, adaptive interrupt coalescing, MSI-X, NIC teaming (bonding), Receive Side Scaling (RSS), jumbo frames, PXE boot and virtualization features such as VMware NetQueue and Microsoft VMQ. FluxLight's QSFP-40G-SR4-S is a Cisco® compatible 40GBase-SR4 SFP+ Optical Transceiver and is factory pre-programmed with all the necessary configuration data for seamless network integration. It supports 4 lanes of 10Gbps Ethernet transmission over up to 150 meters of OM3 multimode fiber and transmits at 850nm. The four 10Gbps lanes each travel over 2 fibers in an MPO-12 cable (4 unused fibers). These transceivers perform identically to Cisco® original transceivers and are 100% compatible and support full hot swappable operation. The QSFP-40G-SR4-S is 100% MSA (Multi-Source Agreement) compliant, see: QSFP+ MSA, SFF-8436. 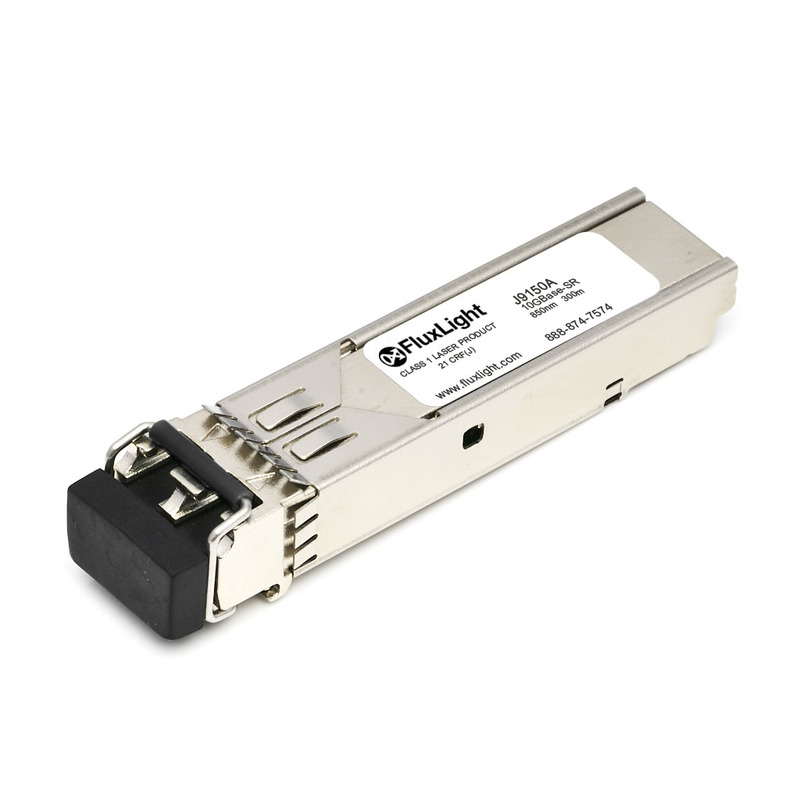 FluxLight's J9150A is fully compliant with the SFP+ MSA (SFF-8431) and backed by Fluxlight’s limited lifetime warranty. The primary difference between the SFP-10G-SR (highlighted in our previous post) and the J9150A is compatibility. The J9150 is an HPE® compatible 10GBase-SR SFP+ optical transceiver. It is pre-programmed by Fluxlight with all the necessary configuration data for seamless integration into all supporting HPE equipment. These transceivers perform identically to HPE® original transceivers and support hot swappable operation. 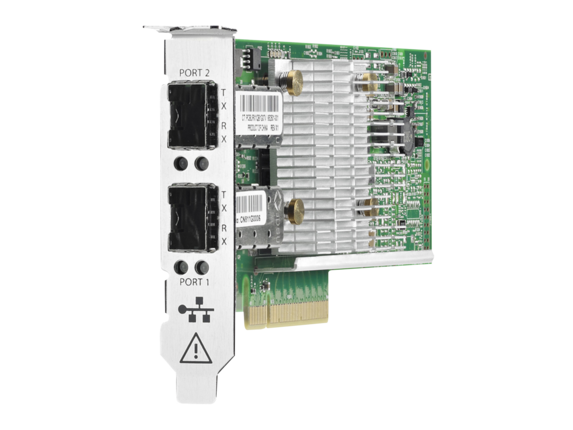 To connect the QSFP+ ports in the Cisco Nexus 9336C-FX2 to the 530SFP+ network adaptor modules in in the ProLiant DL360, an MPO to 4x Dual-LC breakout cable is used. 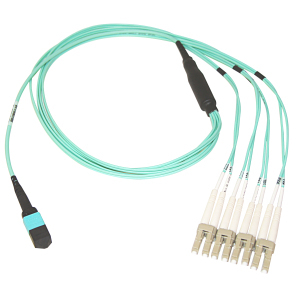 The MPO end of the cable is inserted into the Fluxlight QSFP-40G-SR4-S. Each of the Dual-LC connectors are inserted into one the Fluxlight J9150A SFP+ modules which are installed in the HPE 530SFP+ network adaptors installed in the ProLiant DL360 servers. We’ve listed all the components so now we need to connect the bits together. The Cisco Nexus 9336C-FX2 switch only uses 1RU and is customarily placed at the top of the rack. Each HPE ProLiant DL360 server also uses only 1RU. Since we are running two 10Gbps links per server, two Fluxlight 10GBASE-SR modules must be installed in each of the network adaptor cards (530SFP+). In this case the optical transceivers must HPE compatible, so the correct Fluxlight part number is J9150A. The Nexus 9336C-FX2 switch contains 36 multi-rate slots. Assuming not all of the traffic is locally connecting between the local ProLiant servers, we will set aside enough ports that, when equipped with 100G QSFP28 modules (for example, FluxLight QSFP-100G-SR4) will support approximately all the traffic to/from the subtending servers (downlinks). If we allocate 26 ports to 40G QSFP+ connections to servers, that is a total of 1.04 Terabits/sec (Tbps) downlink capacity. Equipping the remaining 10 ports with 100G QSFP28 optical transceivers, brings the total uplink capacity to 10 x 100 or 1.0 Tbps, so just about a perfect split. Of course this is a bit simplistic. The actual allocation may involve many other factors including things like how many spine switches are used in the center design, predictions of intra-rack traffic, etc. Finally, the MPO to 4x Dual-LC OM3 duplex multimode fiber jumper mentioned above, is used to connect to each QSFP+ module in the Nexus leaf switch to four SFP+ modules in the server NICs. Each QSFP+ module supports two servers with a total of 20Gbps (full-duplex) each. Since we have allocated 26 Nexus 9336C ports to 40G QSFP+ modules, that brings the total number of servers per 9336C switch to 52. In our previous post, using the 48 SFP+ 10Gbps ports on the Cisco Nexus 93180YC-FX, allowed only 24 subtended servers, so we have more than doubled the leaf-server density by using the 9336C-FX2 QSFP+ ports. 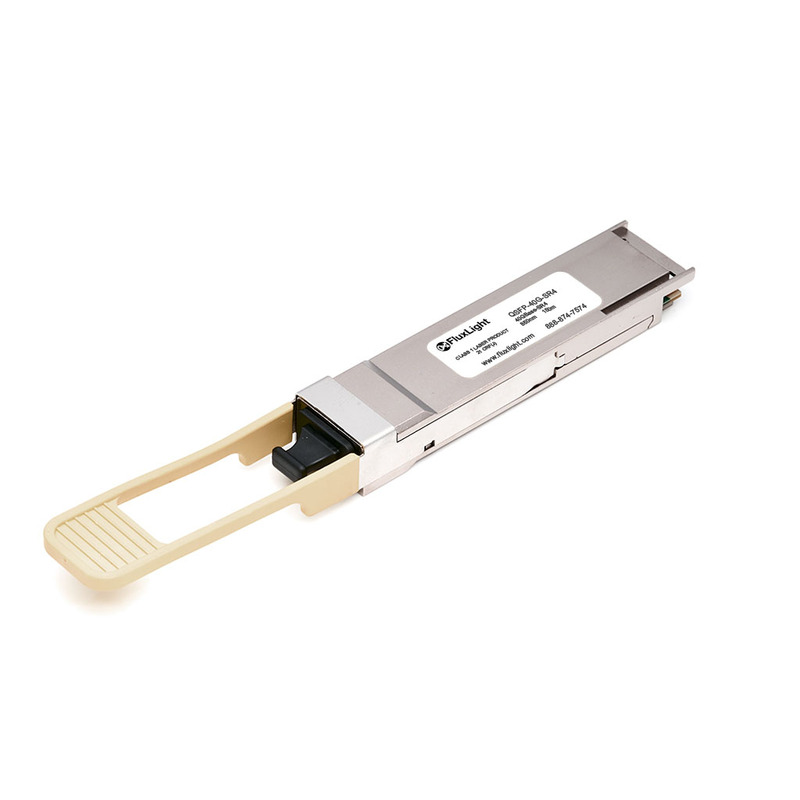 Cisco QSFP-40G-SR4-S is supported on a wide range of Cisco equipment.